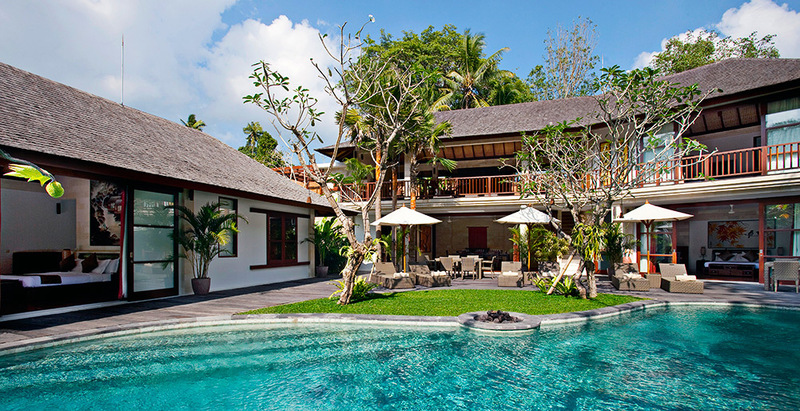 Villa Iskandar is a serene riverside sanctuary situated a few kilometres from the spectacular Tanah Lot sea temple on Bali’s glorious 'sunset' coast. This elegant villa comprises four air-conditioned bedrooms, a free-form swimming pool, and a choice of indoor and outdoor living and dining areas. The contemporary architecture is harmonised with Chinese-themed interiors against a gorgeous backdrop of towering trees and the fast flowing river. Complemented by sophisticated facilities, caring staff, a car and driver, and superb service, Iskandar offers a truly beautiful setting for weddings and events, especially when rented in conjunction with its five-bedroom neighbour, Villa Atacaya.